Integrity is the word that comes to mind when I think about Dr. Marlo Archer. I have known and worked with her as a colleague for three years and have respected and admired her down to earth approach and cut to the chase style. As a fellow psychodramatist, I have had several opportunities to see her in action and have found her to be creative and insightful. She has an amazing ability to confront issues with directness and compassion. I have known Dr. Archer for about five years and have enjoyed getting to know her professionally and otherwise. I refer to Marlo frequently because she is a therapist of great integrity, and has such passion for what she does. Marlo has a way of making clients; especially teens, feel safe and comfortable. Dr. Marlo Archer is a valuable resource in our community especially for the teen population. Over the 6 years that I have known Dr. Archer, I have witnessed such professionalism and talent in her work with families and teens using her creativity and expertise. She has made several appearances on TV being interviewed for her advice on different psychological topics and presented at many events around the valley including the Sierra Tucson Professional Networking Breakfast. I feel confident in her abilities as a psychologist and colleague that I would be comfortable referring others and my family members to her. She shares her wealth of experience and knowledge by writing an article in the Arizona Together newspaper which helps me and others get to know more about her philosophy. When I think of Dr. Archer, I think of fun. She has an incredible sense of humor and passion for her work and life. When I go to an event that I know she’ll be at, I can expect to laugh and I believe laughter is good medicine. I have known Dr. Marlo J. Archer for many years and find her to be one of the most knowledgeable and personable professionals in the field of therapy and mental health. Dr. Archer is monthly columnist in Arizona Together Newspaper where she offers a “down to earth” approach for the many issues that parents face with growing children and teenagers. Her columns are filled with solutions, compassion and understanding. Marlo is also a dynamic speaker and workshop presenter and she is highly respected by her peers in the therapeutic and treatment field in Arizona. My name is James Harasymiw. I am a licensed psychologist and a certified alcohol and drug counselor. I am the owner of H.S. Psychological Services in Big Bend, Wisconsin and a Partner in Alcohol Detection Services. I have varied professional interests which include both a clinical practice and forensic psychology. My involvement with Alcohol Detection Services is a research and development focus related to biomarkers for alcohol abuse. I have known Dr. Archer for about 15 years and was her clinical supervisor when she began practice on a doctoral level. I have the highest regard for Dr. Archer both as a knowledgeable and highly competent professional and as a charming human being. I would not hesitate to recommend her to my family or friends who were in need of professional services. Dr. Archer has been an outstanding mentor to new psychology students. She gives them realistic and practical information about how to run a psychology practice. They learn how she has developed such an excellent relationship with the media. Dr. Archer is responsible, innovative, and accessible. 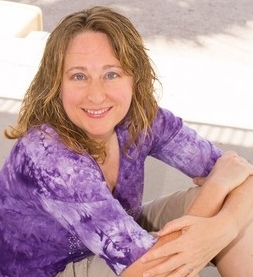 She is on the forefront of psychological services in Arizona.